Head-up display is a gem, and should be included on every single car in the U.S.
With the 350-hp V8 engine, I had occasion to floor the accelerator. 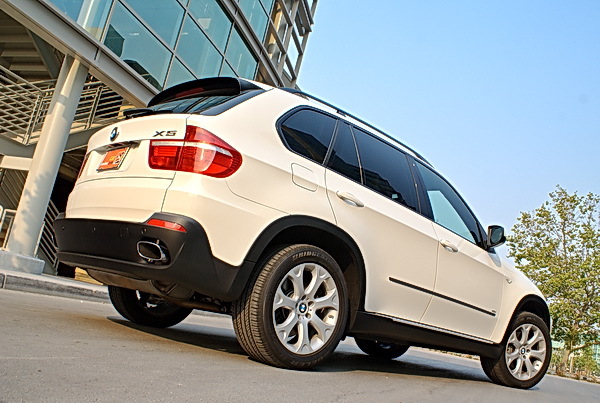 The X5 reacted immediately, rocketing me forward with such fearsome power that it was almost scary. It also had the sport suspension and sport drive (separate features) when combined, offer a sport-tuned drive. I turned them both on, but with my decidedly unaggressive driving style, it was wasted on me. I really didn’t use it. 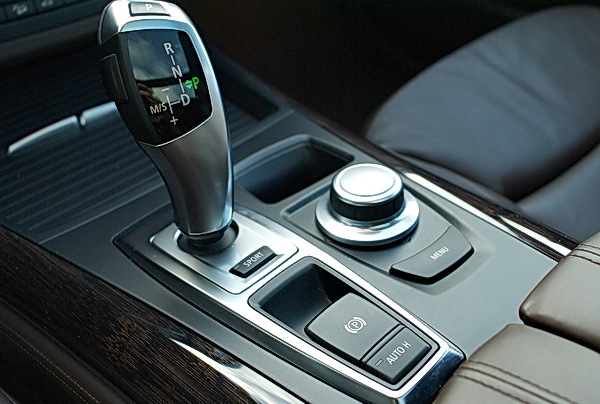 I did pop it into the manual transmission, but I let the X5 decide when to change gears. It did not disappoint, and was very smooth. The single-most valuable feature (IMO) on the X5 is the “head-up” display. I’d never used one before and I have to say it: EVERY vehicle on the road should be equipped with this feature. It’s brilliant. When using the navigation system, the directions appear along with the speed on the display. And it’s not cumbersome or distracting in the least bit. With the Bluetooth programmed (which was EASY to do) the phone number appeared in the head-up display. One would never need to take their eyes off the road, and this is how it SHOULD be. 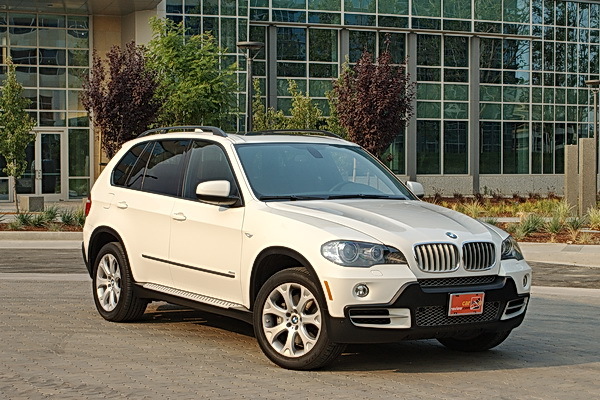 In my short time in the X5, my two biggest complaints were: feature overload, and gas mileage. The X5 has so many features controlled by the iDrive, that I felt like as a new owner, you’d almost need to take a class from BMW in how to program it. It seems almost “too” advanced for the average owner. It’s also one of those things that I fear in a vehicle: too many bells and whistles, which translates to: many things to break and lots of cash to fix them. The X5 is an absolute PIG with gas. Even with my conservative driving style, I was only able to get 14.6 mpg. Of course, if you’re willing to fork out the cash for one of these, I doubt that $5.00/gallon gas will bother you much.. For 2009, BMW is coming out with a diesel-powered X5 for better fuel economy, but diesel isn’t cheap, or easy to come by.